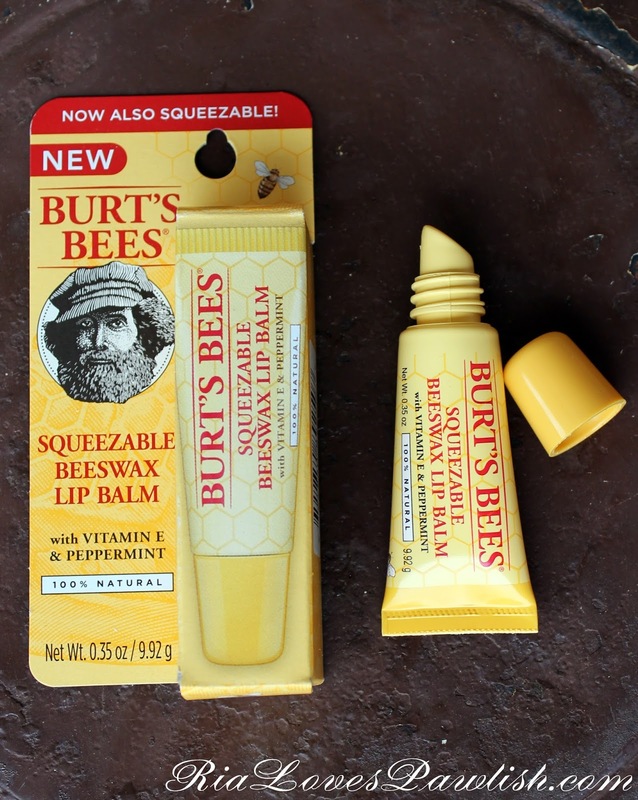 today i have Burt's Bees Squeezable Beeswax Lip Balm to share with you all! (it's a press sample, kindly provided to me for review). this balm is the liquid version of their popular Beeswax Lip Balm... and it's quite nice. it comes in a squeeze tube with a pointed applicator, and goes on super smoothly. it leaves the lips pretty shiny, so it's like applying a moisturizing gloss... a huge bonus in my book! it smells strongly of peppermint and tingles when on the lips, but not uncomfortably so. it doesn't have that burning feeling many plumping lip products have which i don't like at all... it's just fresh, and also smells so good. in addition to the beeswax and peppermint, this product also contains Vitamin E for even more benefits to your lips! you can find Burt's Bees products on their website (www.BurtsBees.com) and in loads of stores all over the US. the Squeezable Beeswax Lip Balm retails for $4 on their website, but is currently unavailable at the time of this blog. THIS is the direct link to the balm to check if it's been restocked!